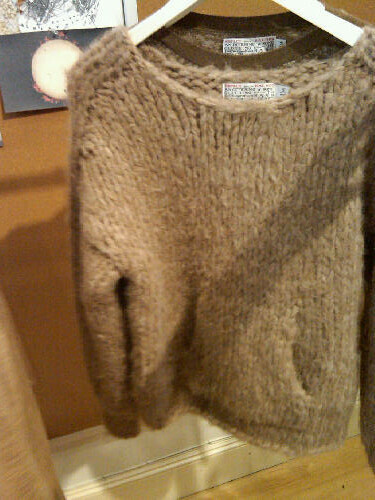 Loving Alpaca for F/W 2010! Shipley and Halmos sweater., originally uploaded by Style File Group. This sweater reminds me of my aunt Betsy who lives in Los Alamos, NM with my uncle and cousin, was in the Peace Corps in Chile in the 70s and makes the most amazing meals using organic ingredients. She's one of the coolest people I know and this sweater definitely belongs in her wardrobe.